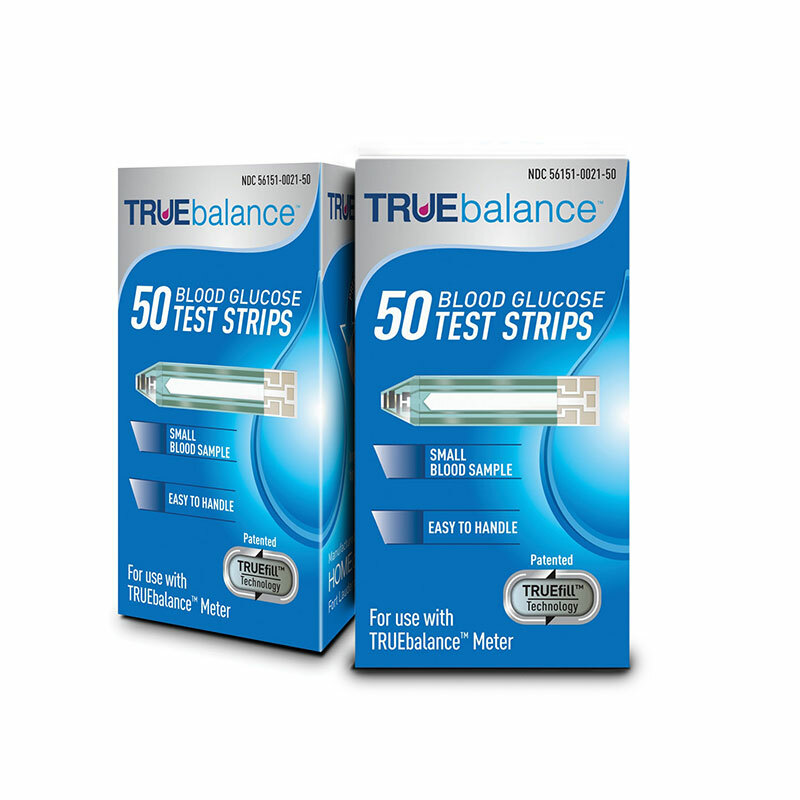 TRUEbalance blood glucose test strips are cutting edge diabetic testing strips that ensure accuracy and precision. Featuring TRUEfill™ patented beveled tip design which reduces re-testing. These TRUE Balance strips require no coding and are ideal for home glucose testing or when you're on the go. This offer includes 72 boxes of test strips (50 strips per box). TRUEbalance blood glucose test strips are cutting edge diabetic testing strips that ensure accuracy and precision. Featuring TRUEfill™ patented beveled tip design which reduces re-testing These TRUE Balance test strips require no coding and are ideal for home glucose testing or when you're on the go.